Our chapter was recognized as an Outstanding Chapter and given a silver award. 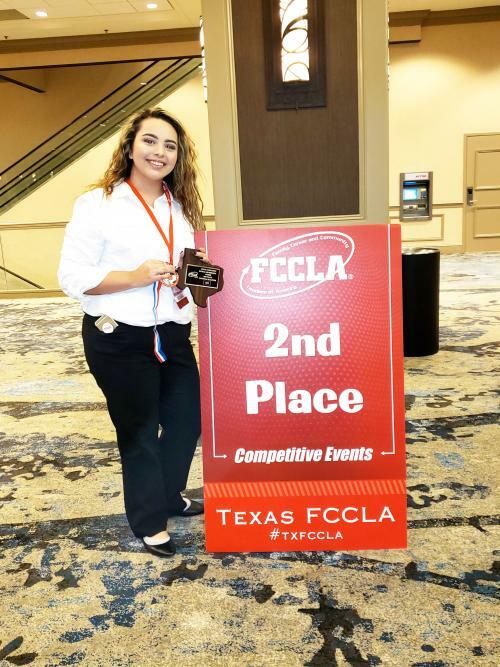 Jasmin Gallardo earned 2nd place in Recycle Redesign and qualified for Nationals. She will not be going to Nationals due to family obligations this summer. Our FCSA kiddos brought home 11 Gold medals and 2 silver medals. 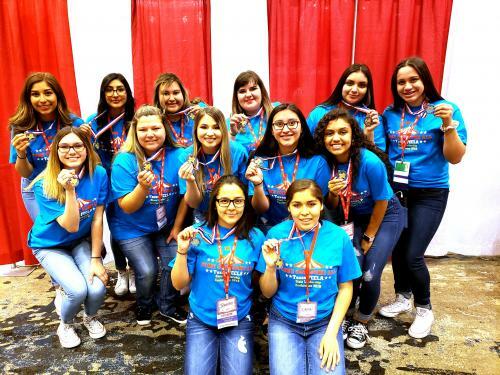 Receiving Gold - Chloe Tanner, Tobi Johnson, Miranda Garrison-Vela, Evelyn Camacho, Jannette Camacho, Fernanda Frausto, Daisy Hernandez, Emili Rodriguez, Ximena Uribe, Tamara Yara, and Melissa Ramos. Receiving Silver - Alejandra Salas and Jennifer Ramirez. 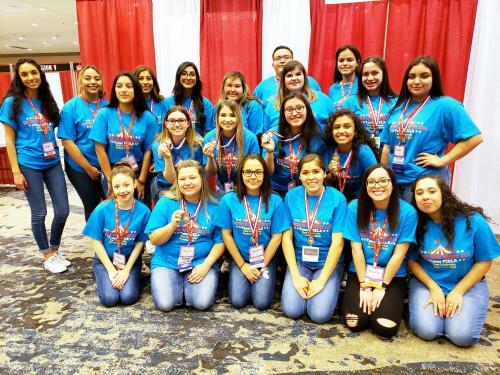 Also competing this week was Andy Pena-Garcia in Teach and Train, Ally Gallegos and Kayla Chairez in Food Innovations, Briana Ceniceros is Cupcake Battle, and our Environmental Ambassador team of Alexis Rodriguez, Ashley Berumen, and Melanie Jimenez. Our kiddos also helped run 2 competitive events and attended leadership tracks in between our competitions. These are some awesome kiddos and I am so blessed to get to work with them. Thank you, teachers, for your support and encouragement it means the world to me and these kiddos. A huge thank you to STUCO for acknowledging these kids with a walk through and donuts. That really made them feel special and like they were a part of PHS. If you would like to see specifics about our week, go to our Facebook page...Perryton High School FCCLA.